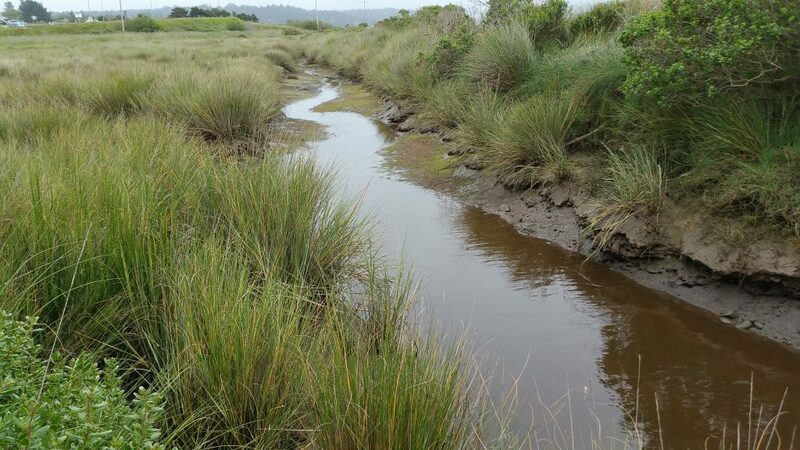 The City of Eureka is expanding and enhancing the estuary of Elk River, restoring inter-tidal wetland habitats on up to 223 acres of former bay lands. Greenway has been supporting this project since 2014 providing grant-writing and technical assistance, design and engineering, and project management. The project involves multi-stakeholder coordination, design and construction of stream and estuary restoration efforts, and development of new public recreation uses. The restoration will entail eradicating invasive plant life while supporting native species to restore inter-tidal channels, off-channel ponds, and salt marsh wetlands. The City owns 123 acres of the affected land, with multiple owners controlling the other 100 acres. An imperative component of this effort involves coordinating multiple property owners, including Humboldt County, Humboldt Bay Harbor, Recreation and Conservation District, National Resources Conservation Service, Caltrans, NCRA, Pacific Gas & Electric, and several other private property owners. Other interested stakeholders include Humboldt Country Services District, State Coastal Conservancy, Department of Fish and Wildlife, California Coastal Commission, U.S. Fish and Wildlife Service, National Marine Fisheries Service, California Trout, and additional nonprofit organizations as well as property owners impacted by recurring flooding east of US Highway 101.